On Thursday, the USS Bonhomme Richard made its way toward Sydney as Australian and US forces commenced their Talisman Saber exercise, the seventh of the large biennial training drills. According to a Navy statement, more than 33,000 service members from the US and Australia will participate in "high-end warfighting scenarios” designed to “innovatively prepare for regional and global security challenges." The statement adds that Talisman Saber, jointly sponsored by the US Pacific Command and the Australian Defence Force Headquarters Joint Operations Command, will be mostly sea and land based. It will take place in and around Australia and include “live and virtual training exercises” and amphibious landings. 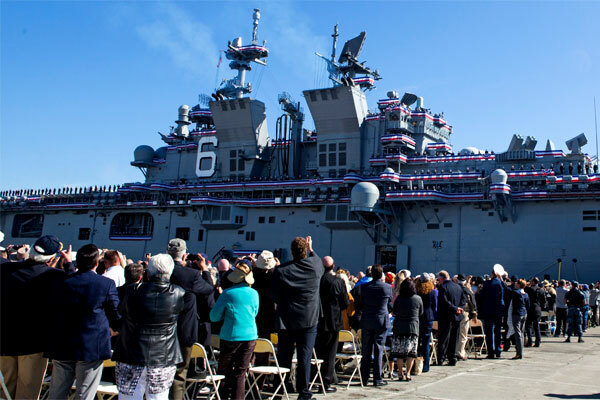 More than 200 aircraft will be participating, including advanced F-35B Lightning II stealth fighters and tilt-rotor Ospreys, along with 21 ships including the Bonhomme Richard Expeditionary Strike Group and the USS Ronald Reagan aircraft carrier. "Exercises like Talisman Saber are precisely where we really learn how to take advantage of cutting-edge technology to outpace our adversaries," Adm. Harry Harris, head of US Pacific Command, said in a US Navy statement saying. During the exercise’s opening ceremony, Harris said he challenged all branches of the US armed forces to "find new ways to enable our joint and multinational combined forces to be faster, more precise, more cost-effective and most importantly, more lethal." Speaking of Talisman Saber’s symbolic value, Harris told reporters, "I’m pleased about that message it sends to our friends, allies, partners and potential adversaries … I think this demonstrates the importance of alliances in general and the value of this alliance in particular." On Wednesday, the commander made his third trip to Australia in roughly half a year, telling an audience at Brisbane’s Australian Strategic Policy Institute that Washington takes its relationship with Australia seriously, and that the alliance between the two countries could help stop the spread of jihadist extremist groups. Australia is a global leader in the fight against Daesh, he pointed out. US warships could soon become a more familiar sight in Darwin Harbour. US Senate armed services committee chair John McCain has put a stronger US and Australian naval presence to the north of Australia firmly on his agenda during his coming visit to Australia. Darwin and Perth have traditionally been ports of call for US warships when operating in the Pacific. Senator McCain, who will meet with Prime Minister Malcolm Turnbull, will lay on the table the strategy behind Donald Trump’s Asia-Pacific plan to combat China’s behaviour in the South China Sea and how a heavier US and Australian naval presence in the region would achieve “peace through strength” in the region. He said the US was developing strategies for the Asia-Pacific region which he thought would have a lot to do with future strategic co-operation with Australia. “I think Australia could play a key role, particularly since we are witnessing a very large investment in an expanded US navy in the decade ahead,” Mr McCain said. Mr McCain’s comments on an increase in naval forces in the region comes at the same time the US has beefed up its military strength in Darwin. The US has just sent to Darwin the sixth and most complex US marine air ground task force to be deployed to the Territory. Along with 1250 battle ready marines it has a large aviation combat element. POTENTIALLY thousands of extra American sailors and Marines will flood through the Darwin port in coming years with a US General confirming a greater military presence in the South Pacific. 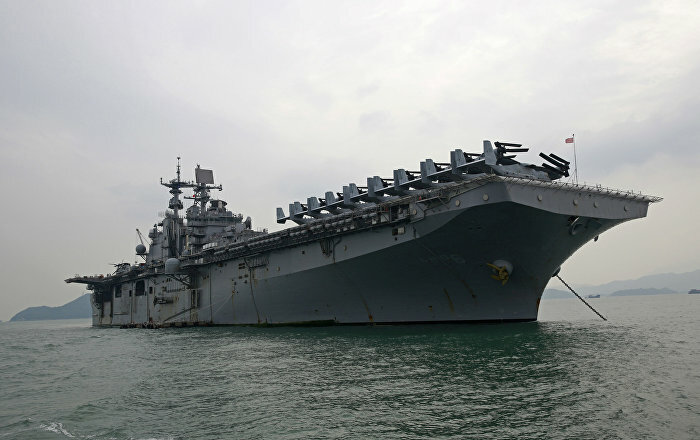 The head of US Marine Corps Force Command, Lieutenant General John Wissler, said the Pentagon planned to dispatch another three-ship amphibious ready group to the Asia-Pacific region as early as October 2018. The Marine Corps Times reported that the ships would likely carry an embarked Marine Expeditionary Unit (MEU). That would see an extra 4000 sailors and Marines in the region. Lt-Gen Wissler said the goal of the MEU was to augment the number of Marines already coming to the Top End as part of the annual six-month Marine Rotational Force Darwin deployment. This year, about 1250 Marine are deployed to Darwin, based mostly at Robertson Barracks about 20km from the Darwin CBD. US and Australian officials hope to boost that number to 2500 by 2020. “The actual basing (of the extra Marines and sailors) ... and all of those significant details are being worked out,” Lt-Gen Wissler said. The Japan-based 31st Marine Expeditionary Unit presently conducts two 90-day patrols in the Pacific each year — one in spring and another in autumn — and respond to humanitarian crises in the region throughout the year. Lt-Gen Wissler said the new arrangement would allow that unit to focus on north eastern Asia while the new ARG/MEU conducted two 90-day patrols in the South Pacific. He said the Marine Corps has not determined whether the new MEU will come from the continental US, Hawaii or Japan. Lieutenant Commander Matt Knight from the US Pacific Fleet said it is too soon to say which ships may be assigned to the MEU in fiscal 2019. Former Chief of Naval Operations Admiral Jon Greenert said the amphibious assault ship America was a “prime candidate” to visit Australia as part of such a group. “They will go into Darwin … and conduct on-load and off-load,” he told Navy Times in March 2015. He said while the Marines trained in the Top End of Australia, the ships in the ARG could operate and hold exercises in South East Asia. A new class of amphibious assault ships will support Marine Corps operations for the two continents. As Marines buckle down for another decade with limited amphibious ships and high operational demand, planners are taking a look at re-purposing some ship classes and reconfiguring others in order to bridge the demand gap. The Marines' rotational deployment to Darwin, Australia continues to grow, with plans to build up to 2,500 Marines per six-month rotation. And the Marines' Europe-based crisis response task force for Africa -- created because of the dearth of amphibious ships to respond in that part of the world -- is increasingly participating in joint exercises and theater security cooperation efforts on both continents. At both locations, the lack of available ships to carry Marines is felt, said Lt. Gen. Robert Walsh, commanding general of Marine Corps Combat Development Command. In the long-term, Marines plan to task a future amphibious group led by the America-class amphibious assault ship USS Tripoli, still under construction, with supporting two 90-day patrols around Australia per rotational deployment, Walsh told Military.com. That future ARG is expected to be based in San Diego and will support operations in the Pacific, including the Darwin troops.